Shortly after finishing high school in 2006 Jake Waldin came to Forrest Personnel to see what assistance we might be able to offer him in his job search. Jake had already begun to explore different options for work, including completing study for pre-fab metal fabricator and working a at a fast food restaurant. 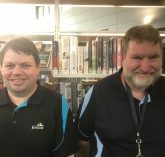 However, living with autism, he and his parents thought Forrest Personnel might offer some added guidance and assistance in finding sustainable employment that would be a good fit for Jake. 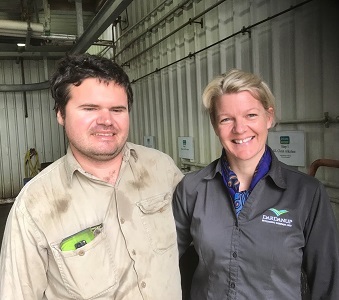 Flash forward to 2019, Jake has been in full-time employment as a Hook Room Operator for the past 10 ½ years with, Dardanup Butchering Company (DBC). With a keen eye for detail and a great analytical thinker, Jake has always been great at looking at processes to see if there are better ways to get things done. Soon after starting work at DBC Jake spotted opportunities to improve efficiency in the company’s cleaning processes manoeuvring systems, including design for a box trolley which was ultimately implemented by the company’s maintenance crew. These trolleys are still in use today resulting in improved ability to move meat hooks through the plant’s cleaning processes as well other ideas from Jake that have been implemented by the company. Forrest Personnel is proud to be a part of supporting Jake in his journey in successful employment.